Most alternate histories reimagine big turning points or the momentous decisions of famous people. 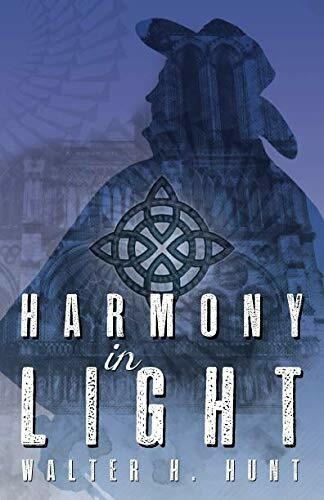 In his delightful historical fantasy Harmony in Light, Walter Hunt takes a more subtle approach. He invites the reader into the culture and atmosphere of a 19th century Paris in which mesmerism—the ability to induce trances in others and control their actions—really works. The appeal of the book is in its depiction of a city and a time in which such magic feels so appropriate one almost believes it existed. In the world of the novel, mesmerism is not accepted by the scientific community, much as it was not in the real world. A group of secret societies, however—one French and one English—have passed the knowledge from generation to generation. Some are powerful enough to control other people’s actions completely with a wave of the hand and make them forget the experience afterward. The plot centers on a statue that drives men mad, sought after by both societies to claim its power for themselves. he characters, some imaginary and some historical, try to unravel the mystery of the statue’s power, each for their own reasons. The historical characters are not terribly famous, but are fascinating all the same, and believably live and think in the context of the times. Of particular interest is Jean-Martin Charcot, an early pioneer of neurology and psychology, who studied neurological disorders at Salpétrière Hospital for 33 years and studied the effects of hypnotism and mesmerism. The real joy of the book is how well the magic of mesmerism integrates with the rich Parisian backdrop and the medical explorations of the 19th century. The hint of the supernatural, the interest in dreams, the fascination with feats of mental energy—all these fit with the spirit and imagination of the times. The result is a compelling and immersive novel in which every word feels authentic and every chapter draws the reader deeper into the dark and terrifying power of the mind.